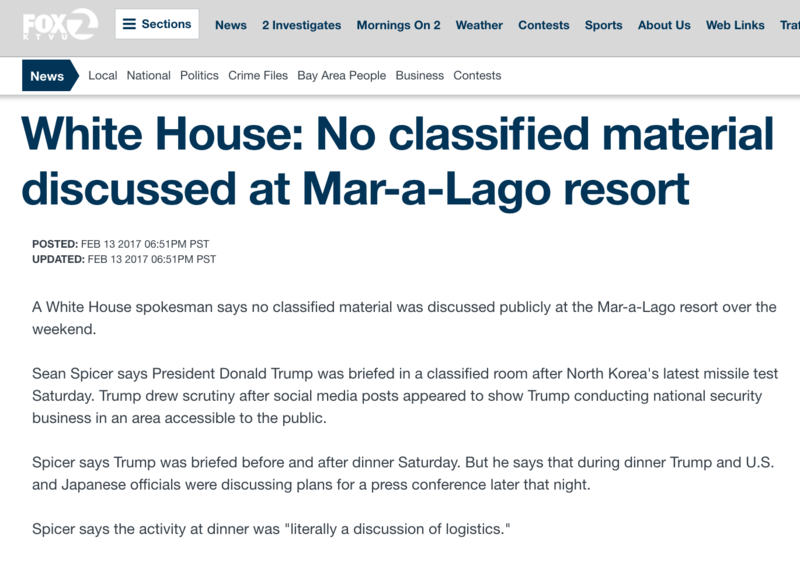 Several baseless reports said that Trump and Japanese Prime Minister Shinzo Abe discussed classified info at dinner table at Mar-a-Largo. They were discussing press conference plans for next day. The White House rebutted the claims and said that they were discussing plans for a joint news conference they were scheduled to hold. And Trump was properly briefed about North Korea in a classified setting. 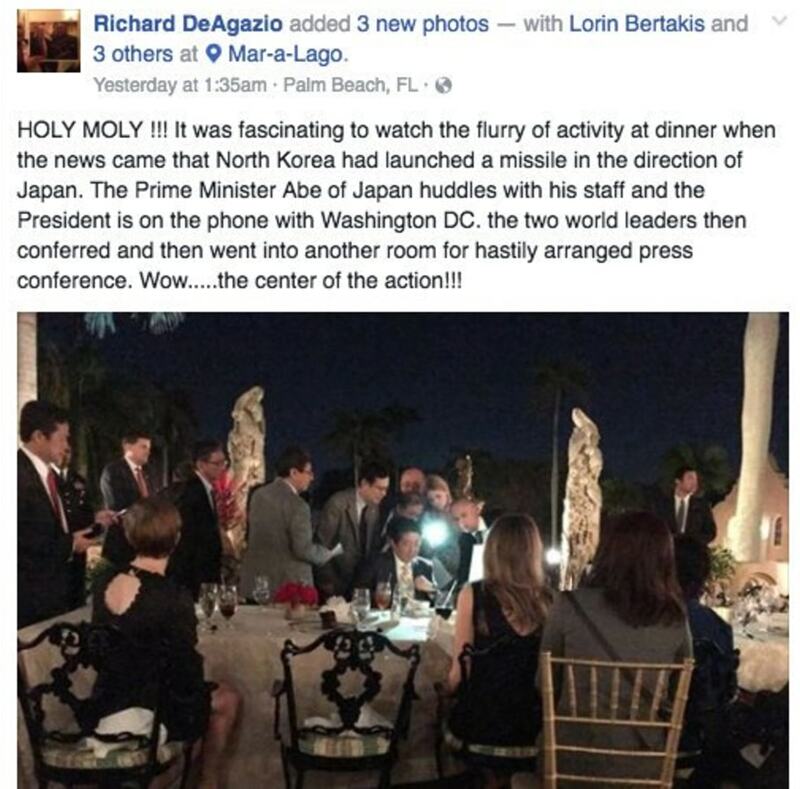 So this guy says he saw Trump and Abe crowding around a table and looking at a laptop and some papers, but didn’t hear or see anything about North Korea at Trump’s table, and this is the whole basis for the accusation of what took place there? Seriously? This is the Facebook post that is the basis for everything…this!